Discovering anime is one of the best thing ever I did and loving it is what made me stick to the scene for more or less 20 years but appreciating it is a different kind of talk. Some fans appreciate an anime because of a character, you know when we talk about the hotness level. Some seeks appreciation based on the plot, some on the music, while some gets it from the animation. About my appreciation? The uniqueness shown is what builds my appreciation for an anime. I would set Noragami as an example. Yes, it is a supernatural, action, comedy franchise but for me the story itself pointed me to the angle of Japanese folklore and mythology. 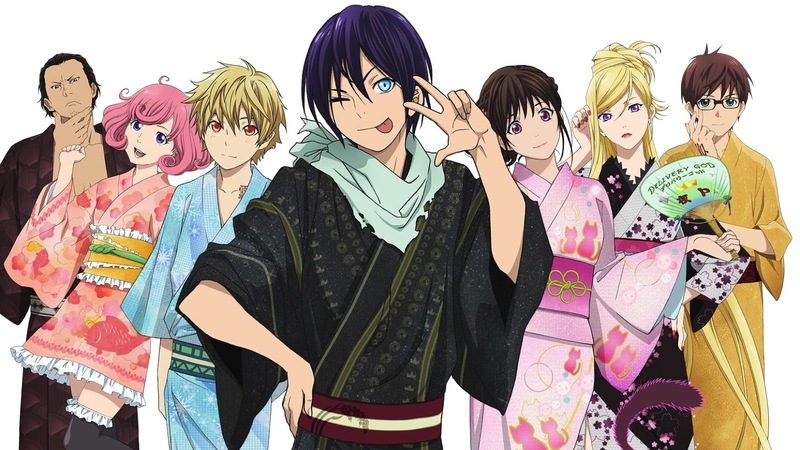 The franchise made me dig some facts about the Seven Lucky Gods and what Yato as a stray god really symbolizes. Watching anime is not only about enjoying it, there will always be a part where we learn and take another step forward. Right? If you're looking for a third season, worry not about the content. The original manga has a very healthy status under the monthly issue of shonen magazine. If you can't wait for a season 3, I do recommend reading the manga as there are some scenes not tackles on the adaptation.